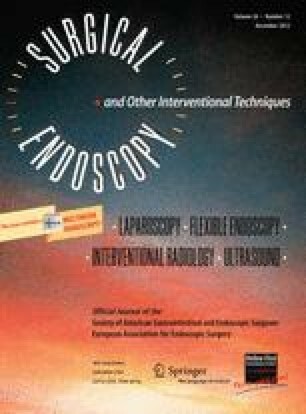 The Society of American Gastrointestinal and Endoscopic Surgeons (SAGES)  had its first scientific meeting in the 1980 s and has grown since to represent a worldwide community of over 6,000 surgeons and other health-care professionals who bring minimal access surgery, endoscopy, and emerging techniques to patients across the world. As part of its mission, SAGES has developed and implemented an overarching educational program to help its members improve outcomes for patients who require minimally invasive and endoscopic procedures. The program’s continuing medical education (CME) objectives are to assist surgeons in (1) improving knowledge of gastrointestinal and related diseases, (2) assessing current and emerging surgical therapies, (3) acquiring competence to perform and teach appropriate therapies, and (4) measuring effectiveness of therapies in terms of outcomes. The authors appreciate the support received from the other members of the SAGES Continuing Education Committee, SAGES President Dr. Steven Schwaitzberg, SAGES President-Elect Dr. Scott Melvin, and SAGES Executive Director Sallie Matthews during the production of this report. Dr. Scott has received consulting fees from Accelerated Technologies, Inc., and Neat Stich, Inc. He has IP Rights as a coinventor for Magnetically Anchored. He has received lab equipment support from Karl Storz Endoscopy and received sponsored research support from Ethicon. Dr. Selim has received honoraria from Intuitive Surgical. Drs. Farrell, Bergman, Paige, and Harzman, and Ms. Schwarz, Ms. Hori, and Mr. Levine have no conflicts of interest or financial ties to disclose.